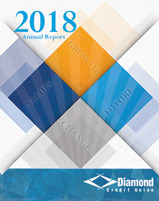 Diamond Credit Union is proud to share our rich history, strong values and continued growth through our Annual Reports. 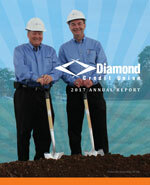 Our Annual Report is made available each February in conjunction with the Diamond Edge newsletter distribution. Members who have provided an email address will receive the Annual Report and newsletters electronically to their email. 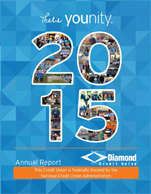 2014 Annual Report – That’s younity! 2012 Annual Report – Service. Innovation. Growth. 2007 Annual Report – Watch Your Dreams Materialize! 2006 Annual Report – Change and Progress. 2005 Annual Report – Drive, Growth, Success.